U.S. stocks are opening slightly lower as banks fell after a series of disappointing quarter reports. Investment bank Morgan Stanley dropped 4.2 percent Tuesday after its revenue fell short of analyst expectations. Railroad operator CSX fell 2.3 percent Tuesday after it forecast slower revenue growth in 2019. High-dividend stocks including utilities and real estate companies made small gains. The top U.S. and Chinese trade envoys will hold talks later this month in a possible sign of progress toward resolving their dispute. The S&P 500 index gave up 4 points, or 0.2 percent, to 2,611. 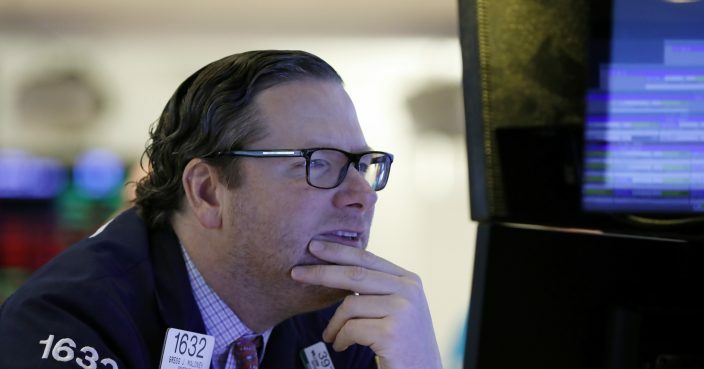 The Dow Jones Industrial Average fell 55 points, or 0.2 percent, to 24,152. The Nasdaq composite slid 22 points, or 0.3 percent, to 7,012.